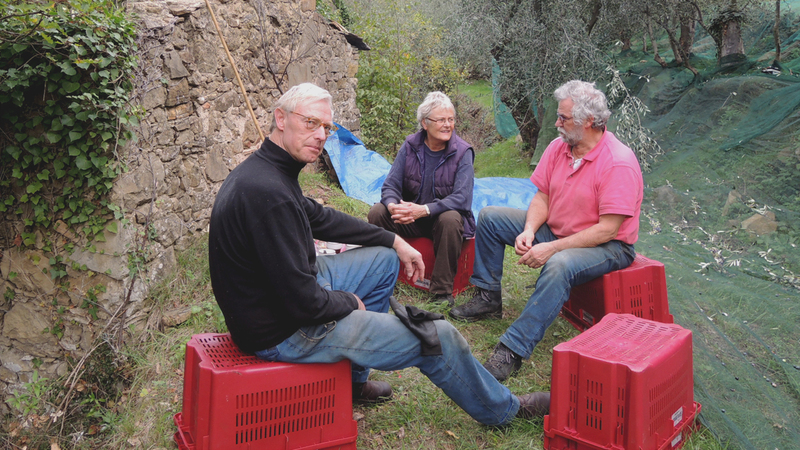 A few months out of every year you can find Harrie and Margriet Leenders at their olive orchard in Vallebona, in the north of Italy. Their traditional ‘rustico’, a small farmer’s house, looks out over the beautiful village Soldano in the valley. Every year they enjoy this sight with friends and family. 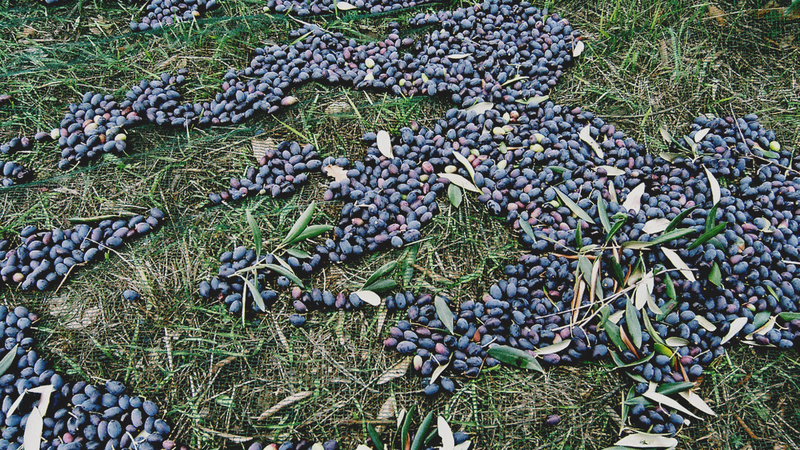 And every year they take home their own harvest of beautiful extra virgin olive oil. 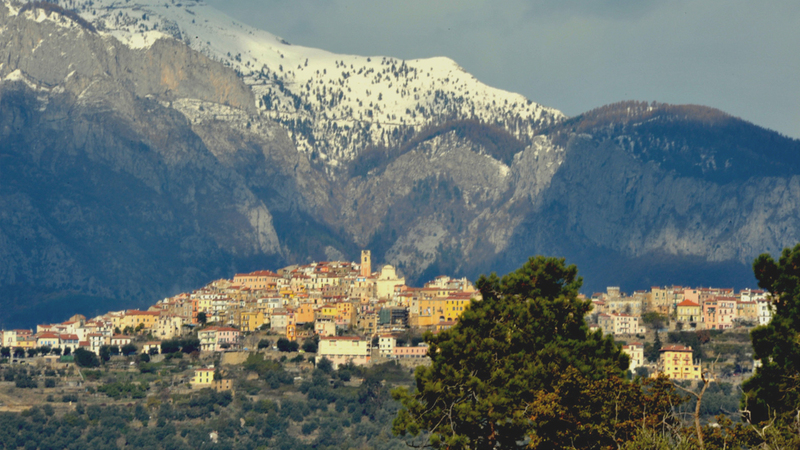 In February, when carnaval takes over the South of the Netherlands, Harrie and Margriet flee to the hills of North Italy to start pruning their olive trees. They return there a few times each year to take care of their orchard. Every November Harrie and Margriet gather a group of friends and family to help them with the harvest. For 3 to 4 weeks they work hard, eat and drink and enjoy the Italian way of life together. When the olives are gathered in big nets that are laid out underneath the trees, they are brought to a local pressing shop, where they are pressed and stored in 50 litre barrels. After this the oil has to sit for a few months for the troubled parts to settle. This year the harvest of was 350 litres of beautiful extra virgine. Harrie is an unpronouncable name for the average Italian, so he is known by the name Enrico Ollandese. Harrie is fine with that, because it blends him into the local community and it sounds better than ‘Aari’. 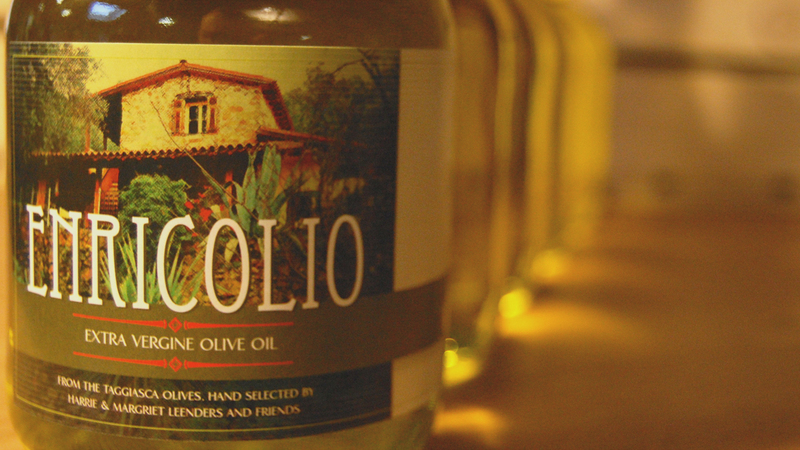 Add some oil to the name Enrico and Enricolio is born, an oil of outstanding quality and taste, and frankly quite exclusive because of the small quantities it is sold in. About three restaurants in the region of Oirschot use this oil. Curious about the harvesting and pressing process? We will write a blog about that, too!